An interactive film and racing game that you control with your mobile phone. Race the Sun is a big, sweeping interactive film that users control via their mobile phone or keyboard. 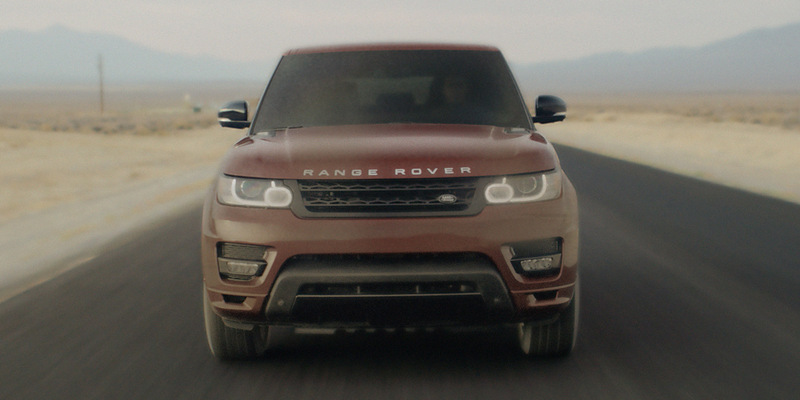 In the experience, users follow our driver as he races to deliver a Range Rover to a hidden location before sunset. Users have the option to use their mobile phone as a second screen that allows them to play racing games within the narrative. The games call back to key features of the Sport, such as acceleration, agility and off-road capabilities. Race The Sun was built using NodeJS and web sockets to enable the phone syncing experience. We implemented a video playback system that incorporated multiple streaming HTML5 players to allow users to proceed through the experience quickly and with virtually no buffering. The games incorporated mobile specific technologies such as accelerometer and swipe gestures. Thanks to HTML5 video and other modern web technologies, we were able to support a wide array of desktops and tablets, broadening our reach.